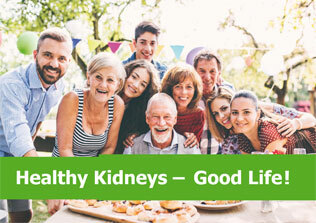 April 18, 2019/Kidney transplant patients need even better aftercare! February 26, 2019/Is Kidney Failure a Man’s Disease? Copenhagen, May 18, 2018/Chronic Kidney Disease (CKD): Is there a cure on the horizon? Parma, April 30, 2018/Trapped in a dilemma: Does asymptomatic bacteriuria in kidney transplant recipients need to be treated? 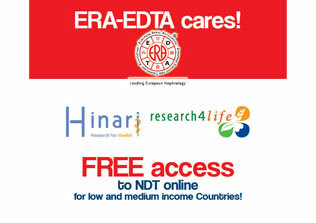 The European Renal Nutrition working group of the European Renal Association – European Dialysis and Transplant Association (ERA-EDTA) has published a commentary on the advantages of a very low-protein diet (0.3 – 0.4 grams per kilogram bodyweight) in CKD patients. According to the paper, such a diet has many benefits, including lowering blood pressure, serum phosphate and albuminuria. However, the most crucial point is that the diet can postpone the need for dialysis for about one year! The authors therefore recommend a very low-protein diet supplemented with ketoanalogs for selected CKD patients, starting from moderate CKD. Heart failure is a common comorbidity in chronic kidney disease (CKD) and is associated with high mortality in CKD patients. It has been believed that the development of heart failure in these patients was the “by-product” of common CKD comorbidities, such as diabetes or ischemic heart disease. 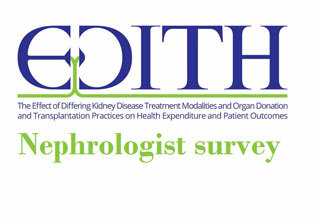 Now, for the first time, a study in the current issue of NDT indicates that CKD itself might cause cardiac impairment. Parma, March 2, 2018/World Kidney Day reaches beyond Nephrology! February 12, 2018/How to prevent premature ageing in early chronic kidney disease? Chronic kidney disease (CKD) has been associated with premature vascular ageing and death. A study in the current issue of NDT showed that albumin in urine causes Klotho deficiency, thus explaining premature ageing in early CKD stages, even in patients with normal kidney function. What can be learnt? A study in the current issue of NDT shows: High volume online haemodiafiltration (OL-HDF) has a beneficial effect on body composition and nutritional status. January 26, 2018/Descartes Advisory Board declares: New allocation rules have to be developed! December 22, 2017/European ADPKD Forum Position Statement puts the patients at the center! A study in the current issue of NDT the European ADPKD Forum had published a position statement that offers a holistic approach to autosomal dominant polycystic kidney disease (ADPKD). December 20, 2017/How to achieve awareness for blood pressure control in CKD patients? A study in the current issue of ckj shows that a multi-level intervention on blood pressure control in CKD patients is acceptable to patients and primary care healthcare teams – so why not implement it? November 30, 2017/Do we have the right tools, but the wrong language? A study in the current issue of ckj shows that information material on transplantation, even on the most popular websites, is too complicated and cannot be understood by the target group: the patients. A study in the current issue of ckj shows: 5-year mortality risk of transplanted patients is about 47% lower than that of patients on the waiting list! October 24, 2017/Peritoneal dialysis linked to lower risk of stroke? July 20, 2017/Bone biopsy is not at all outdated! July 18, 2017/Mediterranean Diet for CKD patients? Reaching guideline targets is not a matter of healthcare expenditure and nephrologist workforce! It´s important to keep all laboratory parameters in view! February 17, 2017/How “safe” is it to donate a kidney? February 1, 2017/DESCARTES and ERBP publication was top-read paper in the “Transplant Library” 2016! July 15 2016/New proteome-based marker classifies CKD progression at early stage! May 22, 2016/Baby Dialysis Machine Revisited: CAREPEDIEM decreases mortality rate by 50 percent! 21 May 2016/CKD patients do benefit from an intensive blood pressure control! 19 May 2016/Have your kidney function checked before starting a protein shake diet! 4 January 2016/Prevalence of Chronic Kidney Disease varies a lot across Europe! 16 October 2015/Push the Altmetric Score of your NDT or CKJ paper! 28 May 2015/Ambulatory Blood Pressure Monitoring (ABPM) in Dialysis Patients? 22 January 2015/What can be learnt from the WHO Report? 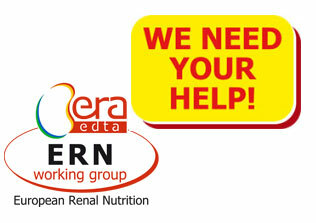 Take action against kidney disease! 14 January 2015/Should a more frequent dialysis schedule be applied? 25 September 2014/NDT Study shows: 34% of English Dialysis Patients are Referred late, 67% of them have to be treated as an Emergency! 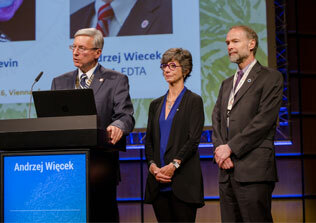 30 May 2014/EURODOPPS, a joint venture of ERA-EDTA and Arbor Research, is born!